"Recent figures released by www.oxfordonlinepharmacy.co.uk show that when it comes to Valentine's Day, men are feeling the pressure to make it a night to remember. Read the article in full in The Sun. " "Judy Finnegan's recent brush with death, after taking too many over the counter painkillers to help cope with a knee injury, led to The Mirror tackling the question of how reliant we are on such medication. They talked to our chief pharmacist, Stuart Gale, to find out more." 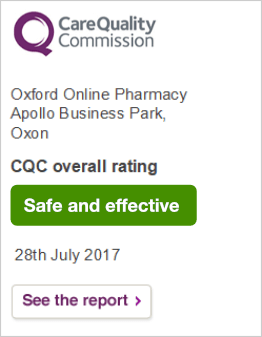 "Following the suggestion that patients should be wary of online pharmacies when looking to resolve any shortage issues relating to a no-deal Brexit, Stuart Gale, owner and chief pharmacist at www.oxfordonlinepharmacy.co.uk writes to the Guardian to explain why regulated pharmacies can be trusted." "There’s no denying that funding cuts in England have hit independent community pharmacies hard. In this interview with the Pharmaceutical Journal, Stuart Gale discusses the importance of diversification and why investment is so important even in challenging times." "Stuart Gale, chief pharmacist and owner of oxfordonlinepharmacy.co.uk, talks to Woman and Home about the importance of spring cleaning your medicine cabinet." "Stuart Gale discusses plans announced by the Department of Health and Social Care (DHSC) to extend the remit of pharmacists and the likely impact on the sector with Chemist and Druggist magazine." "When New York reported that it was experiencing the largest outbreak of measles in recent history, the Express turned to www.oxfordonlinepharmacy.co.uk's expert pharmacist, Robert Bradshaw, to ask: how likely is it to reach the UK?" "When London Loves Business ran an article on male pattern baldness recently, they cited a healthy diet and healthy hair routine as factors in slowing down or even preventing male hair loss. Failing that, the article concludes, medication is also available from Oxford Online Pharmacy." "On national no smoking day (March 13th) Stuart Gale, owner and chief pharmacist at www.oxfordonlinepharmacy.co.uk, caught up with Compelo Medical Devices to talk about e-cigarettes and why it is dangerous to think of them as a safe alternative to tabacco." "GP partnerships are the lifeblood of primary care in the UK, yet GPs seem increasingly reluctant to buy in to practices. Stuart Gale, owner and chief pharmacist at www.oxfordonlinepharmacy.co.uk, discusses the role pharmacy can play in creating a ‘health hub’ on the high street."